Phillies outfielder Jayson Werth is about to hit free agency at the end of the season and figures to be one the most sought after properties during the hot stove period. 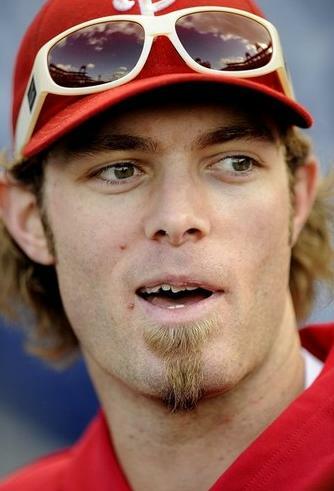 Werth bounced around as a prospect between the Blue Jays and Dodgers before realizing his potential in Philadelphia in 2007. Since joining the Phightins', he has 88 homers and a .280/.378/.498 line. The 31-year-old outfielder will depart the brotherly love of Philly during free agency while seeking a Jason Bay-esque contract that he won't live up to and the team will regret for 3 years. But Jayson is certainly chasing the cash. The Phils could offer an extension but Raul Ibanez is eating all of Philly's payroll like a stray goat in a recycling yard. And my 4th grade teacher said I'd never master a simile. It doesn't really matter though, Werth wants the money, yo. Werth has reportedly cut ties with his former agency, the Beverly Hills Sports Council, and is seeking new representation. Shouldn't be hard for the second best free agent outfielder to find a new agent, right? Not so fast hot shot. 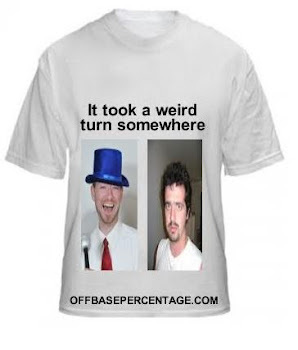 Werth can't land Boras or the Levinsons because he doesn't want to kick out that 5%. You want 3% of his cantract? Shoot him an email. I did. And Master P, if you're reading this, I want a finder's fee. Okay, it's his free agent market after Carl Crawford and Cliff Lee sign somewhere. But if they both end up Yankees, Werth won't need that extra 2% to cover New York taxes and the cost of take out and cigarettes. That might not be entirely true, he'll probably end up in Los Angeles. I can see you hate Werth, no questions asked. But Spits (sickening to watch,the crap coming from his mouth) is Ok....WOW!!! you got to be kidding, he is a waste of funds for the few and far in between hits and plays he makes now and then.